There are many satellite channels available to viewers around the world, but one in particular stands out in terms of quality programming, decency and commitment to the message of Islam. Huda has a team of hard-working people from all over the world. These people have vast knowledge in different aspects of life and Islamic practice and perceptions. The Muslim world is not confined to one particular area of the earth; there are now Muslims in every corner of the globe. 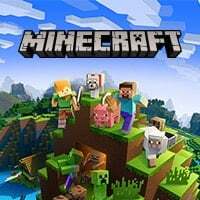 Huda plays the important role of drawing them together under the light of the everlasting message of Islam that is pertinent for all eras and places until the end of time. Huda is committed to delving into the issues that concern Muslims wherever they are and also raises subjects that are important to think about and resolve in today’s complicated world. As Muslims struggle to understand Islam and practice it in today’s modern environment, Huda is a light that shines, illuminating the way; clarifying complicated issues, motivating and inspiring the hearts and continually reminding our viewers to turn to Almighty Allah, seeking His mercy and guidance in every aspect of life. 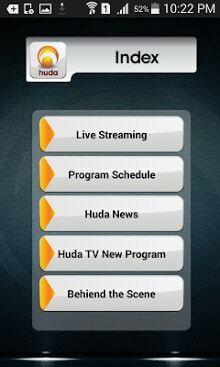 Huda seeks to be your comprehensive satellite channel offering a wide variety of programs. By watching Huda you can learn the correct recitation of Quran, learn the Arabic language, be entertained with quiz shows, learn calligraphy, cooking or enjoy our variety of children’s programs. 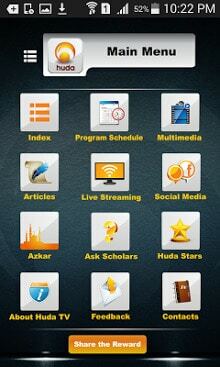 Wherever you are, you can turn to Huda and learn and enjoy in an atmosphere of decency, piety and inspiration. The Muslim world is not confined to one particular area of the earth; there are now Muslims in every corner of the globe. Thanks for help to me. or very very thank.